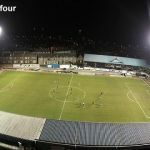 Raith Rovers failed to make it four consecutive home wins, after a Colin Nish inspired Cowdenbeath side, left Stark’s Park with a vital 3-1 win. 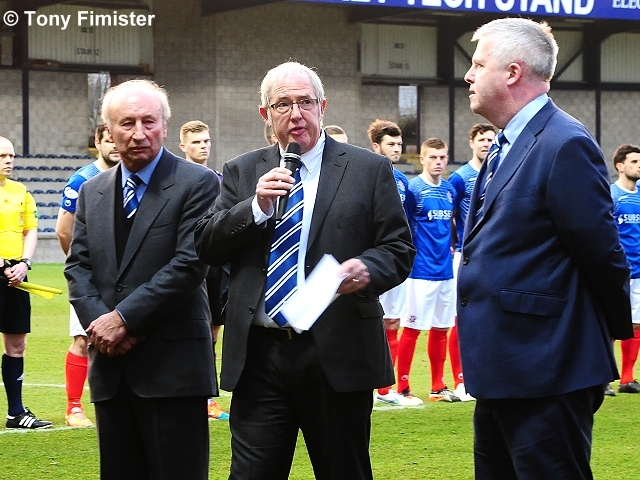 The match was preceded by an emotional memorial to former Chairman, Turnbull Hutton, and a poignant minute’s silence, to remember a man who did so much to revitalise the club. 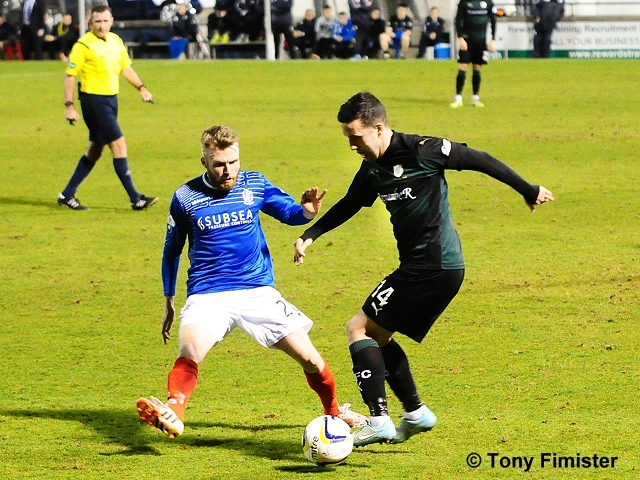 On a sombre evening, Grant Murray made both personnel and tactical changes for the match. 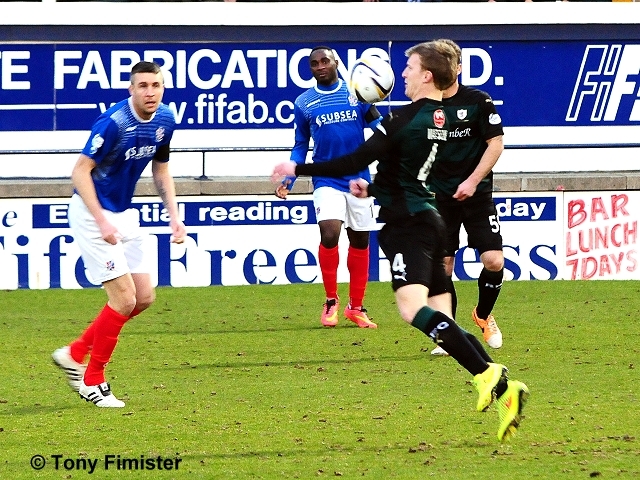 Kevin Cuthbert returned in goals, while Martin Scott replaced the suspended Liam Fox in midfield. 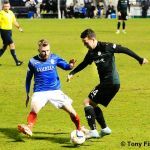 Barrie McKay returned to the substitutes bench, while Dougie Hill returned to the fray in a back three, alongside Craig Barr and Paul Watson. 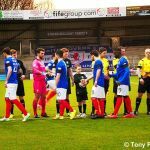 Both Cowdenbeath forwards, Colin Nish and Sean Higgins were on the scoresheet during a 3-0 win over Dumbarton at the weekend, and they looked in the mood early on in this match, combining well before setting up Lewis Toshney, who had found space in the penalty area, but the ball was toe-poked away from him by Hill, as he shaped to shoot. 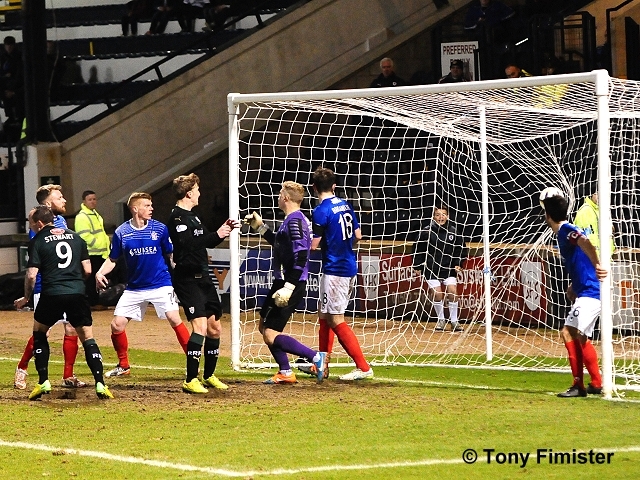 With Ryan Conroy playing more centrally, the width was going to have to be generated by the wing-backs, Rory McKeown and Jason Thomson, and it looked encouraging to that end in the opening moments, when Cowdenbeath ‘keeper, Robbie Thomson was forced to fist away a dangerous looking McKeown cross, after a foray forward. 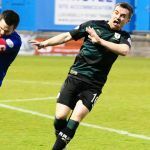 Lewis Vaughan, who has been so impressive in recent weeks, was the next to threaten, wriggling away from two defenders on the bye-line before haring into the box. 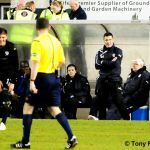 With the material of his jersey appearing to be strained by a Cowdenbeath arm, Vaughan seemed to have a decent shout for a penalty, especially when the impediment allowed Thomson to gather at his feet. 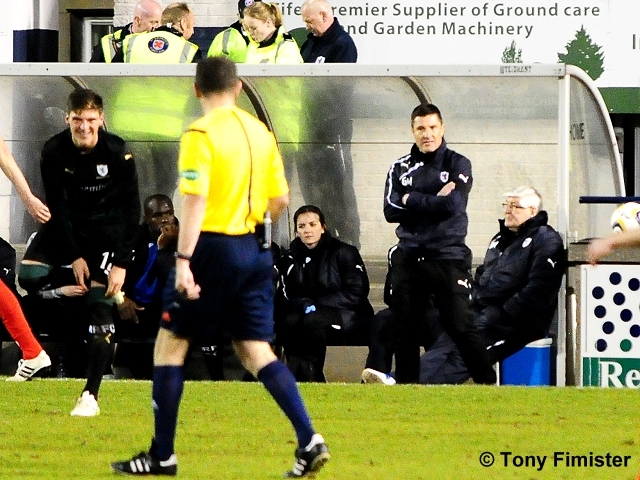 Referee, John McKendrick however, waved play-on. 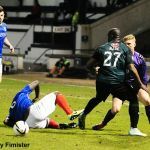 Rovers were far from having it their own way however, and weren’t looking entirely at ease with the new formation, especially when Kudus Oyenuga pushed up when the away side had possession, meaning that occasionally, the Raith back line was left with a three versus three situation. 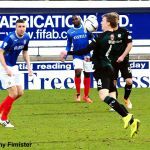 The game’s first real chance came after 12 minutes, when Oyenuga scurried forward with the ball before playing a through pass to Colin Nish. 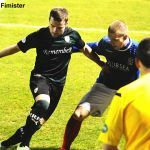 However, with Higgins also in the vicinity, the two of them got themselves in a bit of a fankle, delaying the attempt, before Nish eventually blasted harmlessly wide. 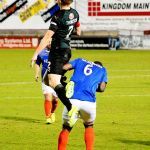 It was a portent of things to come however, with Oyenuga breaking from midfield once again and slipping it through to Higgins this time. 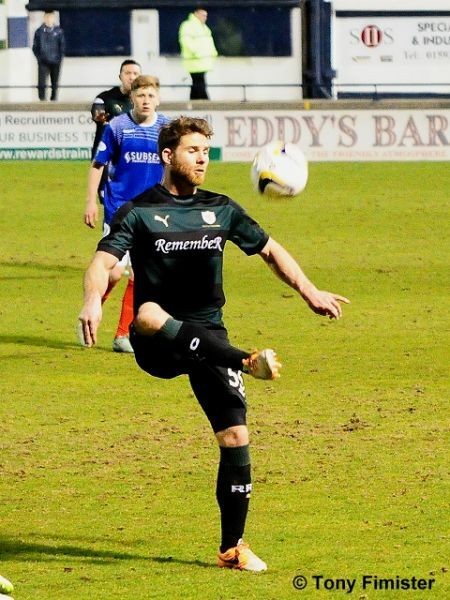 His shot looked likely to test Cuthbert at the very least, but the covering Hill slid in to block the attempt and clear it for the relative safety of a corner kick. 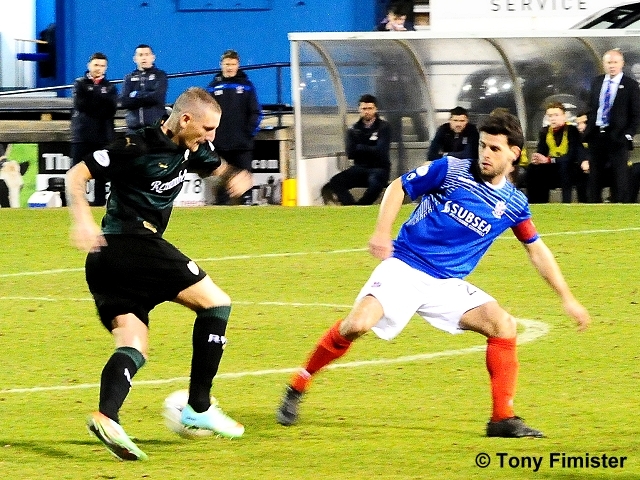 At this stage, Raith were having plenty of possession, but it was mostly concentrated in defence and midfield, with plays breaking down the further forward they ventured. 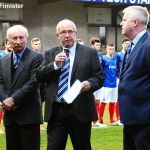 Cowdenbeath’s defence were sitting deep, while a cluttered midfield, meant that Vaughan and Mark Stewart were finding few empty pockets of space, something they have thrived on during their recent productive spell. 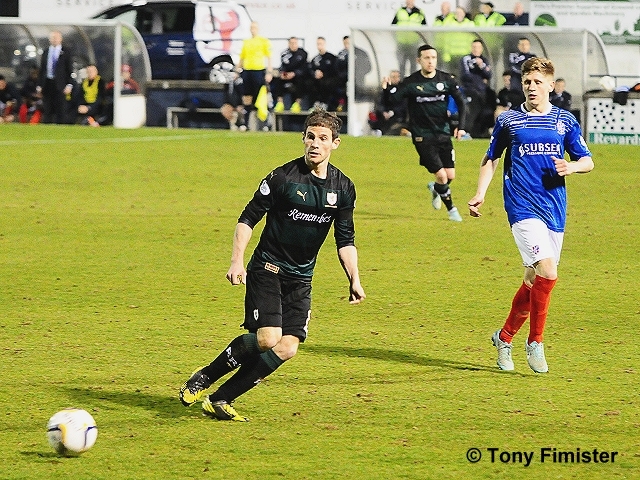 That said, Rovers should have taken the lead after 20 minutes. 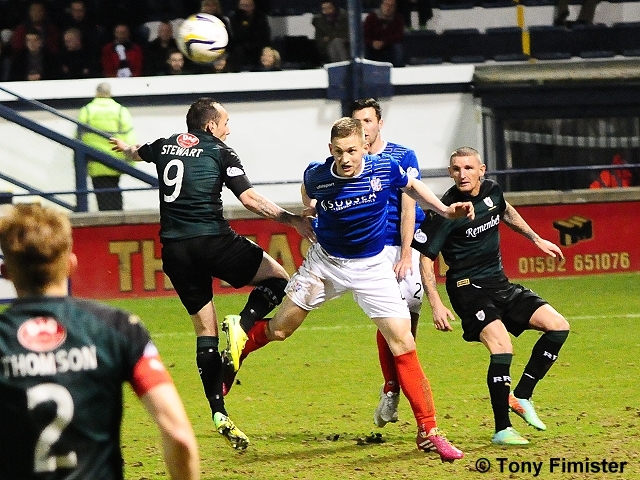 Ross Callachan broke up play in the middle of the park, before releasing Stewart, who had scampered down the left. His cross seemed ideal for the two players who were waiting at the back post, but perhaps due to a lack of communication, Vaughan stretched for it first, heading it over the bar, when he seemed in the poorest position to finish. 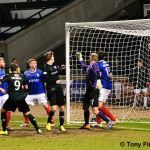 Rovers then went close again, when a low corner from Vaughan to the edge of the box, allowed Callachan not one, but two attempts at goal, but both efforts were blocked. 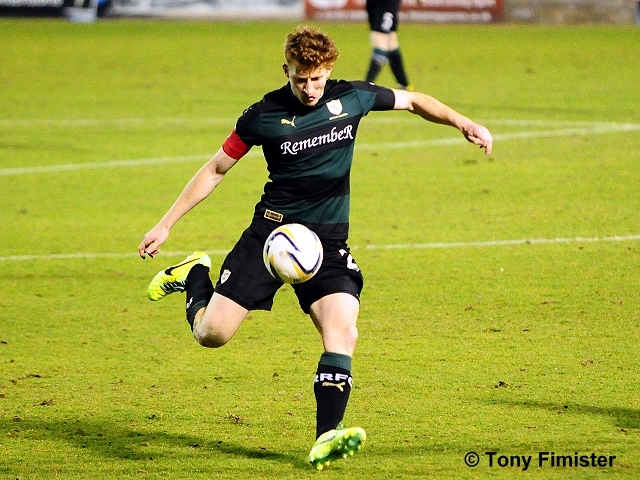 However, with Rovers starting to enjoy the lion’s share of the match, the away side took the lead in the 33rd minute. 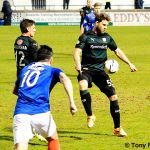 Possession was squandered to Colin Nish on the half-way-line, and despite having a fair trek to goal, the big forward held off a challenge, waited until Cuthbert had committed himself, and dinked a wonderful finish into the net. 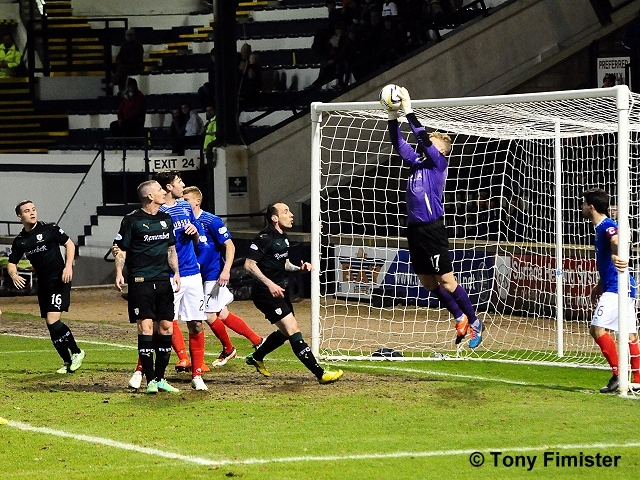 It was almost two a few minutes later, after a bizarre mix-up in the Raith box. 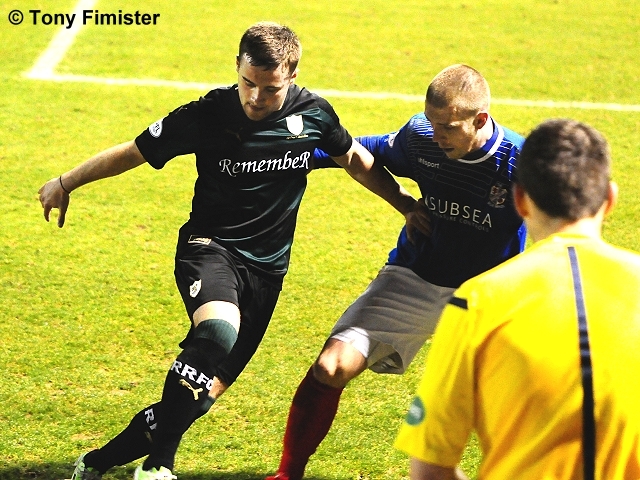 Higgins teed up Nish, and from just six yards, his attempt was stopped by Cuthbert’s outstretched leg. 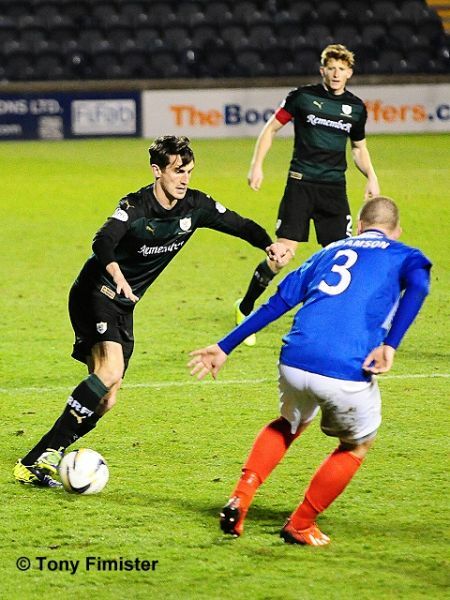 However, despite having the opportunity to clear their lines, the defence failed to do so, allowing Higgins to clatter a shot goalwards, which appeared to deflect off Hill and loop over the bar, with Cuthbert still grounded. Rovers had to make more of an impact in the second period, and they started the half well enough. 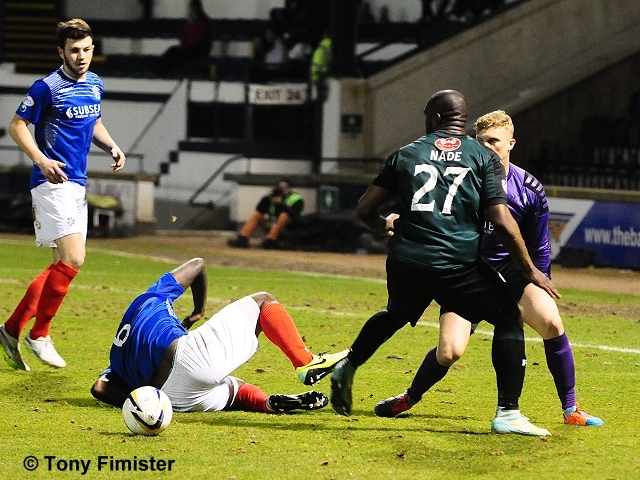 Martin Scott set up Thomson in the first few seconds, but his fierce attempt was blocked by a Cowdenbeath shin. 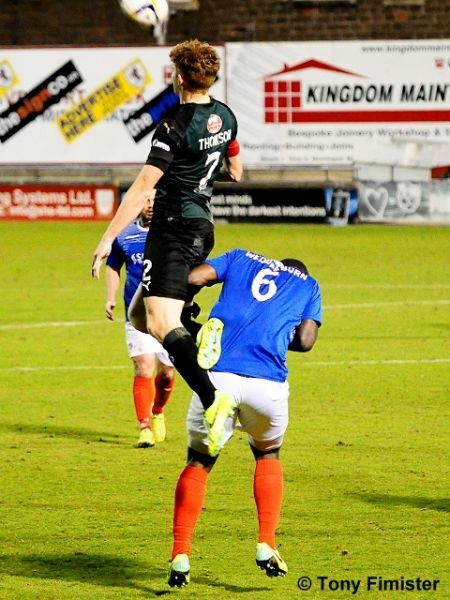 Callachan then had a trademark long-range attempt fly just wide, before McKeown’s audacious 30-yard drive, which bent and twisted in the air, was well turned over by Robbie Thomson. 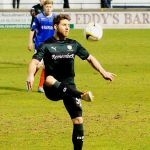 While they weren’t exactly piling on the pressure, Rovers had looked the likeliest to score at this stage, and they would have done so, had Colin Marshall not headed a Hill chance off the line just before the hour mark. 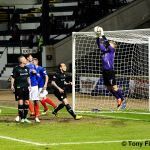 The importance of that block was illustrated just seconds later, as Cowdenbeath went straight up the park and doubled their lead. 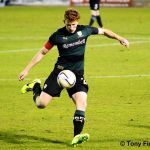 The ball was sprayed over to substitute Robbie Buchanan, who made his way unhindered down the right-hand-side, before sending in a low cross to Nish, who had found an abundance of space in the six-yard-box, and he had the simplest of tasks to sidefoot the ball home. 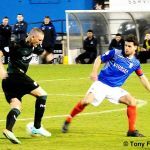 Rovers made two changes to try to rectify the situation, bringing on Kevin Moon and Christian Nadé for Martin Scott and Lewis Vaughan, but despite their introduction, a comeback never felt likely. 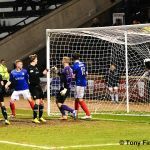 Indeed, Cowdenbeath went further ahead with ten minutes remaining, when Nish completed his hat-trick, once again finishing from close range, after good work by Jon Robertson. 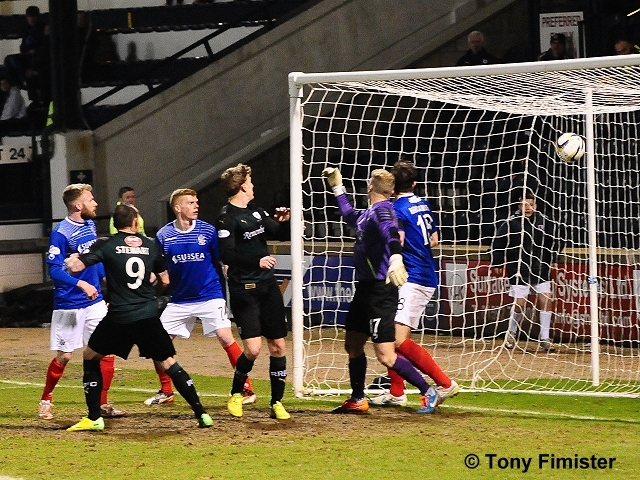 Nish almost grabbed his, and Cowdenbeath’s fourth, with five minutes remaining, but his shot was repelled by Cuthbert. 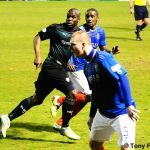 Raith did grab a consolation with a few minutes left, when a corner kick was powered towards goal by Christian Nadé, and Stewart guided it past Thomson, but there would be no grandstand finish, as Cowdenbeath won at Stark’s Park for the third April in succession. A nice cool evening here at SP. Obviously tinged with sadness at Turnbull's death. Cuthbert in goals and Hill in. looks like a 3-5-2 formation unless Barr is in midfield tonight. players and officials lined up in front of Main Stand as Alan Young offers a few words...Unfortunately don't know what's being said as I'm deaf. 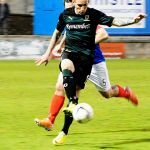 Rovers break Callachan feeds Stewart and Vaughan heads the cross over. It was a 3 on 2.
mckeown this time and Thomson tips over. Corner. Comes to hill and shot headed away off the line. Photographs © Tony Fimister. Drone Photography © Shaun Balfour. 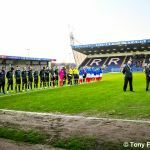 After the disappointment of losing to Falkirk at the weekend, Raith Rovers will be hoping to take all three points from the final Fife derby of the season this Wednesday, as Cowdenbeath visit Stark’s Park. 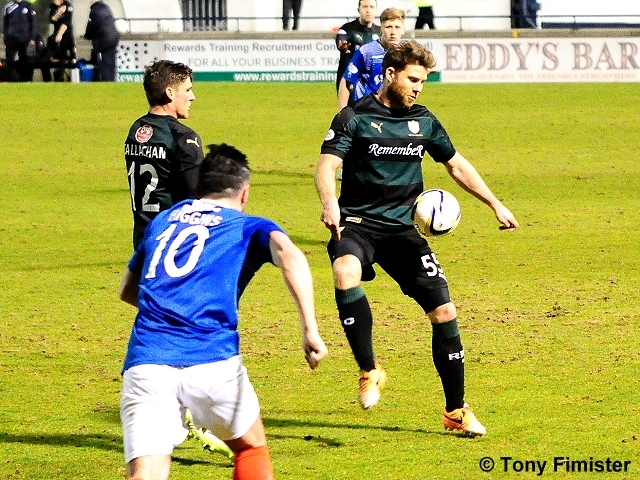 Jimmy Nicholl’s team had a productive weekend, moving out of the relegation play-off place after recording an excellent 3-0 victory over Dumbarton, with goals from Lewis Toshney, Sean Higgins and Colin Nish. 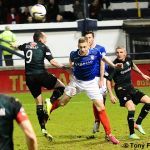 Saturday’s win was just their second of 2015, both of which have been against the Sons, but it was enough to see them jump above Alloa Athletic, into the safety of eighth in the Championship table. 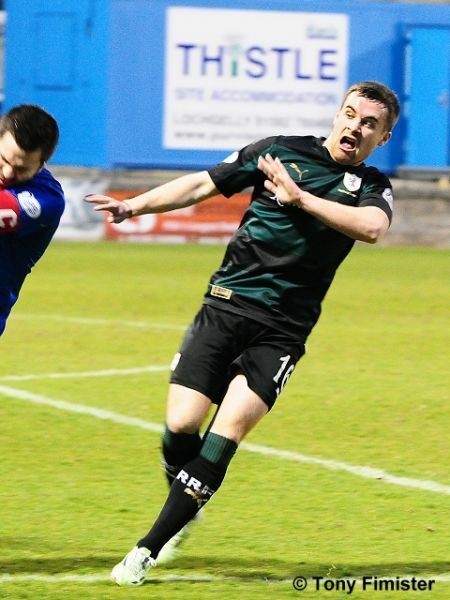 If Cowdenbeath want to guarantee that they remain in that position come Wednesday night, then they’ll have to reverse the Fife derby form book this season, which has seen Rovers take nine points from nine so far. 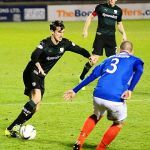 Mark Stewart, Lewis Vaughan and Ryan Conroy gave Raith a 3-0 lead at Central Park at the end of August, before Lewis Milne grabbed a last-minute consolation for the home side. 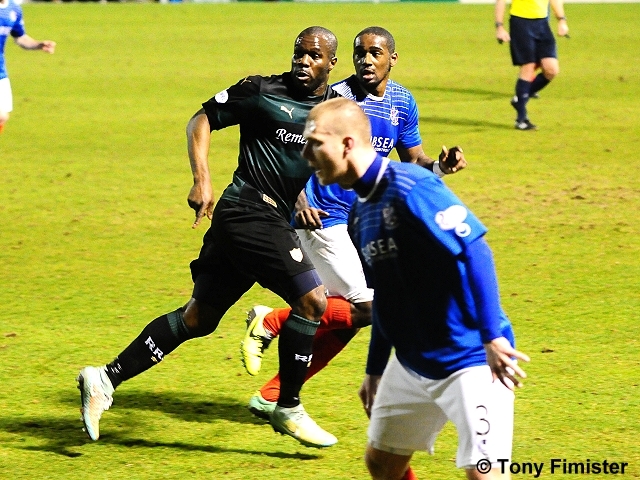 Kudus Oyenuga fired Cowdenbeath in front at the return match at Stark’s Park in November, but Kevin Moon and Christian Nadé replied for Rovers in a 2-1 win. 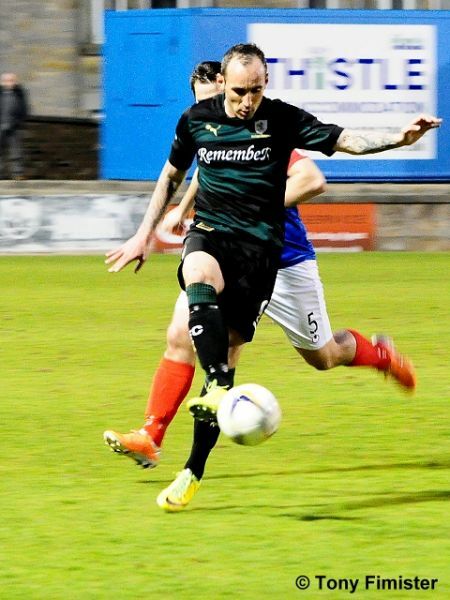 Nadé was the match winner again in the New Year’s fixture at Central Park, when his late,late header saw Grant Murray’s men grab all three points right at the death. 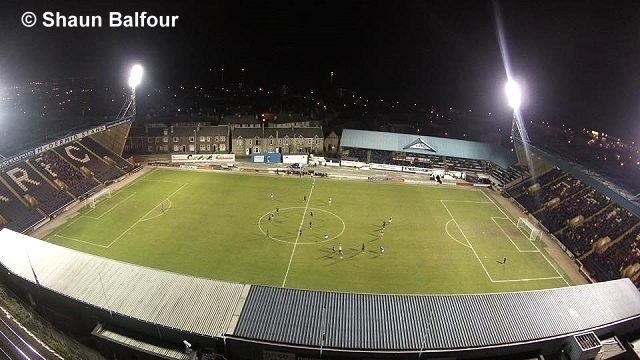 If Raith do win on Wednesday night, it’ll be the first time Rovers have won all the meetings in a single season since the 1992-93 campaign, a season which saw Raith crowned First Division champions, while Cowdenbeath finished bottom of the league. 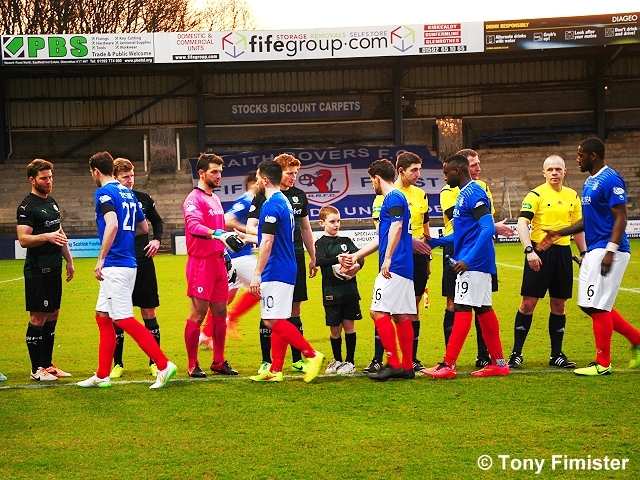 However, despite Raith’s recent good form in the fixture, the head-to-head record over the last ten meetings is extremely tight, with four wins for Rovers and three for Cowdenbeath. 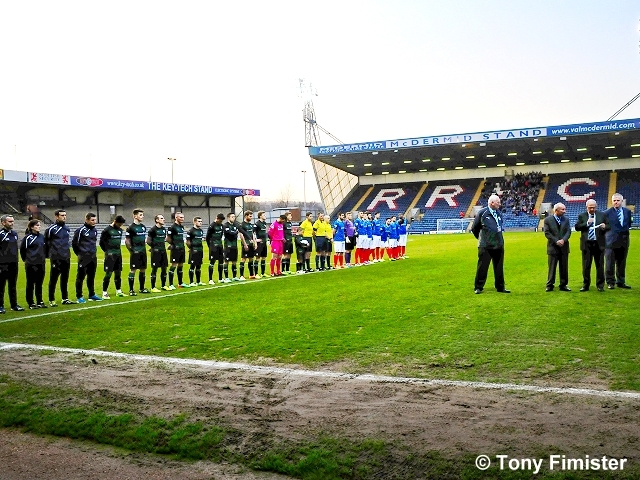 The Blue Brazil have also made something of a habit of winning at Stark’s Park in April, recording a 1-0 win in that month in 2013, and a 2-1 win at the same stage last season.